Shebooks, which publishes short e-books by and for women, was launched in January 2014 by three women with extensive experience in the publishing world: Laura Fraser, a journalist and bestselling memoirist; Peggy Northrop, editor-in-chief at Sunset Publishing and former global editor-in-chief at Reader's Digest; and Rachel Greenfield, former executive vice president for publishing at Martha Stewart Living Omnimedia. Shebooks' online catalog includes a mix of fiction, memoir, and journalism, with each e-book designed to be read in one to two hours. Fraser recently spoke with Lisa Lynne Lewis about the company's first year of operation, the need to boost visibility for women writers, and the influence of Eat, Pray, Love. Lisa Lynne Lewis: You define Shebooks' niche as "a curated collection of short e-books written by women, for women." The "by women" part is straightforward; what about the "for women" part? Is this another way of saying "women's fiction" or "chick lit"? Laura Fraser: We want to give visibility to great women writers and get them more attention. "For women" is a marketing niche for us; we feel women have been underserved. Women writers tend to write for women readers. I believe women's fiction shouldn't be ghettoized, and I abhor the term "chick lit." At the same time, we recognize that the offerings of dominant digital publishers such as Atavist and EPIC are frequently external adventures, whereas women are more apt to write about internal journeys. 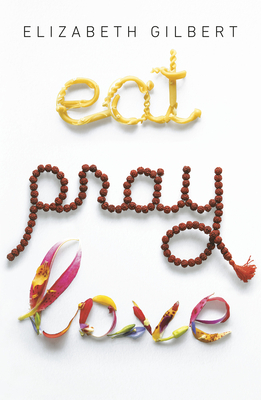 Any time a woman writes a book about an internal journey or sorting out mid-life issues, it always gets compared to Eat, Pray, Love. And yet there are topics women are likely to be more interested in than men. Women's magazines like Good Housekeeping have often been widely belittled even though they've published some of the best women writers for years. LLL: When and how did Shebooks come about? LF: I was at a conference on narrative journalism at the University of California, Berkeley, in November 2012 with my partner, Peggy Northrop. We'd worked together off and on for about 25 years—me as a freelance writer and Peggy as an editor at a number of publications, including More, Vogue, and Glamour. We were watching a panel about long-form journalism and I said, "It's all the same guys." She replied, "Yes, someone should do this for women." We knew that women get published at a much lower rate. At the top-shelf magazines, the overwhelming majority of articles are written by men: in the most recent count by VIDA [the organization for women in the literary arts], 70% of the bylines were male. We came up with the name Shebooks, for short e-books for women, and then applied for a grant from the New Media Women Entrepreneurs project through JLab. We were awarded the grant and had a year to get the business up and running. Peggy is the president and I'm the editorial director. We brought in a third partner, Rachel Greenfield, as chief operating officer. Rachel holds an MBA from Harvard University and knows the ins and outs of the publishing world. We make a great team. LLL: Why did you decide to focus on short e-books? LF: The space for long-form journalism has been shrinking, and we saw a need for a place for people to be published. At the same time, the digital landscape is shifting, which benefits writers and readers. There are a lot of alternatives and that's a good thing. Our books are about 10,000 words and are optimized for mobile devices. They're for people who are busy and want an immersive experience in a short amount of time. They're also a great alternative to using Facebook and watching cat videos when you're commuting, or during other pockets in your day. The way we consume media is changing. LLL: How has Shebooks grown since its launch? LF: We started with eight authors. For our soft launch in December 2013, we had a minisite up and were selling eight books. In March 2014, we started publishing two books a week. Then in May, when we had about 40 books, we started a subscription service so people could subscribe and read all of our Shebooks for one price. In our first year, we published 71 books and a print anthology, Whatever Doesn't Kill You: Six Memoirs of Resilience, Strength, and Forgiveness, which just came out in December. LLL: How does Shebooks work with writers? LF: We've mostly solicited writers at this point. Most of our authors are fairly well known. We don't have the staff to accept a manuscript from a pitch, although we have taken some pieces from the slush pile. I work with a network of freelance editors and we have a copy editor and a designer as well. In that way, we're very much like a traditional publisher. Up to this point we've been paying a smallish advance (four figures, usually) and giving authors 50 percent of our net profits. One of our assumptions was that our authors were going to do a great deal of marketing themselves. We've found that some of our authors have done that, and they're the ones who have sold a lot of books. Others haven't, and they haven't sold many books. We'll be fine-tuning our contract to reward the people who are spending their time and energy publicizing their books. It's not the old world out there—you can't sit back and write your book and expect the publisher to do all the work of publicizing it. Particularly in the new media, with publishing two books a week, there's no way we can give each book the same time and attention the author can. LLL: What aspect of Shebooks has been most surprising? LF: What surprised me most was the quality of writing—all of these women writers had these perfect 10,000-word memoirs sitting in their drawers. I've been overwhelmed with how terrific the memoirs—and the fiction—have been. LLL: What book has proven most popular with readers to date? LF: The Marco Chronicles by Elizabeth Geoghegan has been one of our most popular books. It's a memoir set in Italy, where Geoghegan goes through a string of bad boyfriends named Marco. The book is a hilarious send-up of the stereotypes of romantic Italian lovers. LLL: Where are Shebooks available? LF: People can find and buy our books on our website and can also download them on Amazon, Barnes & Noble, and Kobo, a digital service for independent booksellers. We had a Shebooks app readers could download from our site, but we weren't happy with it, so we're upgrading it right now. We've also paused our subscription service while we upgrade our technology. 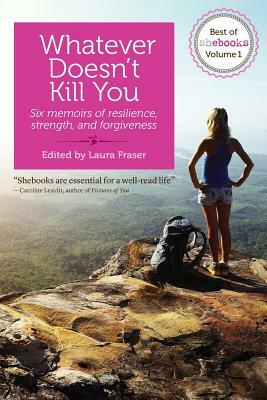 LLL: Let's talk about the print anthology, Whatever Doesn't Kill You: Six Memoirs of Resilience, Strength, and Forgiveness, which was published in December 2014. Why did you decide to publish a print edition? Do you see this book appealing to a different segment of readers? LF: By starting out as a digital publisher, we're not saying this is the only way people should read. I still love real books that I can hold in my hand. We recognize people read differently depending on their circumstances. If I'm in bed, I want a book, but if I'm traveling, I want to read on my iPad or e-reader. People love books—they love giving them as gifts, they love holding them. Each of the six memoirs in our anthology is stunning. I can't tell you how proud I am of having published it. I felt like some of our strongest memoirs focused on the theme of facing serious challenges and overcoming them, which is really inspirational to our readers. LLL: What are your plans going forward? LF: We're looking at expanding from just publishing e-books to becoming a broader storytelling platform for women. Our anthology is the first step. We've also found that memoir is our sweet spot—nobody else is doing short memoir right now—so we're going to be focusing even more on that. Note: Two Literary Mama staff members have published with Shebooks: creative nonfiction editor Susan Ito wrote The Mouse Room and columnist Ona Gritz wrote On the Whole.